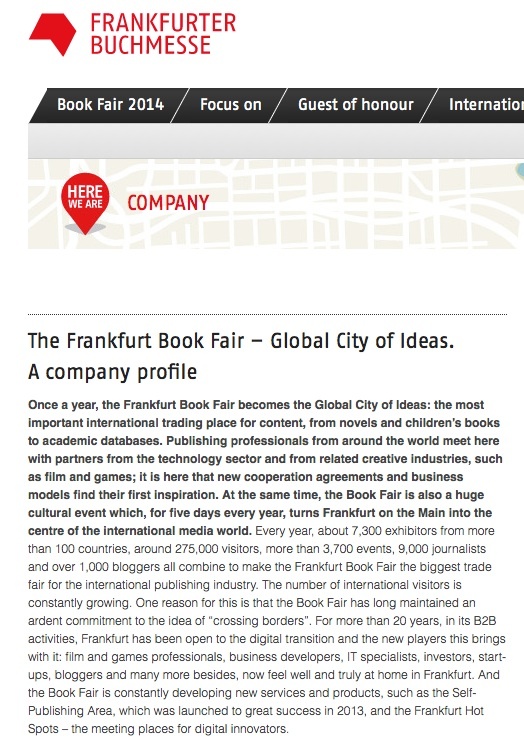 The Other Side of Goodbye is off to the world’s largest international book fair next month in Frankfurt, Germany. This is an exciting venture that offers yet another opportunity to share my story around the world….with more to come! Tags: 2014 Frankfurt Book Fair, book agent, book fairs, book promotion, Frankfurter Buchmesse, international book fair in Frankfurt, international book titles, self-publishing business, world's largest book fair | Permalink.